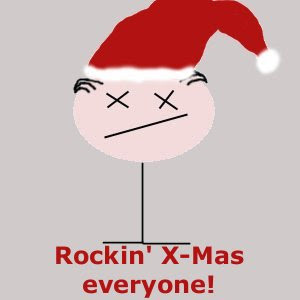 Have a rocking merry Christmas! We hope there are lots of good CDs and (for us older people) also some beautiful old-fashioned vinyl underneath your trees! Get drunk and get out partying! Posted on December 24, 2009 Author my brain hurts a lotCategories UncategorizedLeave a comment on Have a rocking merry Christmas! I hope people like Perez Hilton choke on their own impious, insensitive drivel. …Nada Surf announced a cover album including Depeche Mode’s biggest hit “Enjoy the Silence”. As this one is especially annoying due to every day power play on radios all over the world, we are really looking forward to hear Nada Surf’s version! Well, about the idea of doing only covers…we will have to wait and see about that. Normally this is kind of a sinking ship, but let’s give the boys a sympathy bonus. Also, the guys have already posted tour dates for next spring – unfortunately only a few. We hope their calendar gets fuller in the next weeks and the tour visits some places close enough for us to go. …the tragedy was reported here.